WHILE the next seven days might drag out as rugby league fans north and south of the Tweed River wait for the first game of the 2014 State Of Origin series time can be filled by talking about the teams. Only a Darwin weatherman has an easier job than Mal Meninga - from numbers one to 20 the team nearly picks itself - while Laurie Daley has a few downtrodden regulars but debate raged over the rest of the squad. Queensland's star players shifted into top gear at the weekend, with even first reserve Daly Cherry-Evans finding ominous form by booting a clutch field goal for Manly Monday night, making the task for the Blues to break their eight-series drought even tougher. Has Mal picked the right team this time? Will Laurie patch together something that isn't ridiculed by Queenslanders in the lead up to the game? Leave you comments below on the teams for the first State Of Origin game. 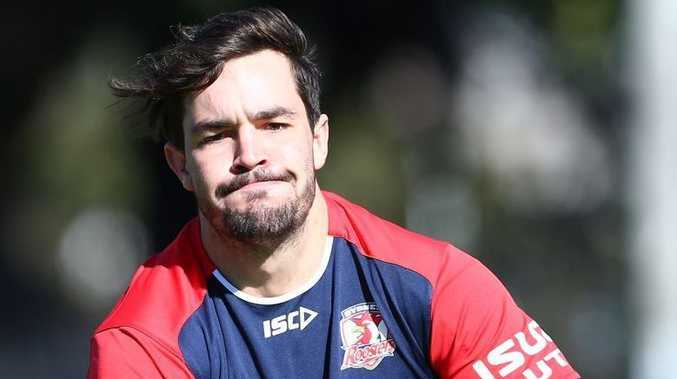 Has Mal Meninga picked the right team to defeat New South Wales in game one? Queensland: Billy Slater, Darius Boyd, Greg Inglis, Justin Hodges, Brent Tate, Johnathan Thurston, Cooper Cronk, Matt Scott, Cameron Smith, Nate Myles, Chris McQueen, Matt Gillett, Corey Parker, Daly Cherry-Evans, Ben Te'o, Aidan Guerra, Josh Papalii, Will Chambers, Jake Friend. New South Wales: Jarryd Hayne, Brett Morris, Josh Morris, Michael Jennings, Daniel Tupou, Josh Reynolds, Trent Hodkinson, Aaron Woods, Robbie Farah, James Tamou, Ryan Hoffman, Beau Scott, Paul Gallen, Trent Merrin, Anthony Watmough, Luke Lewis, Tony Williams.